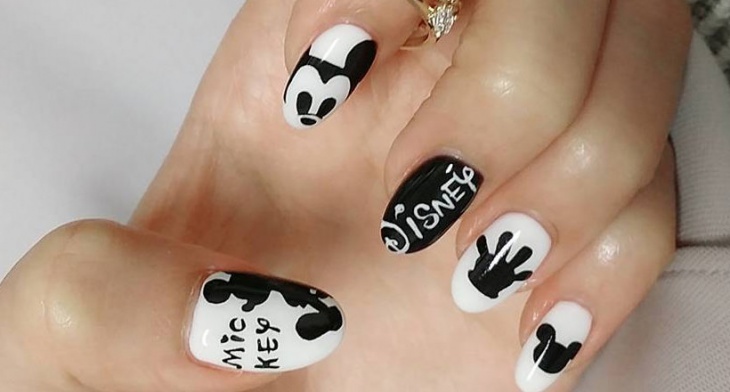 Show your Disney side by creating Disney’s all-time favorite five characters – Mickey, Minnie, Donald, Goofy, and Pluto. 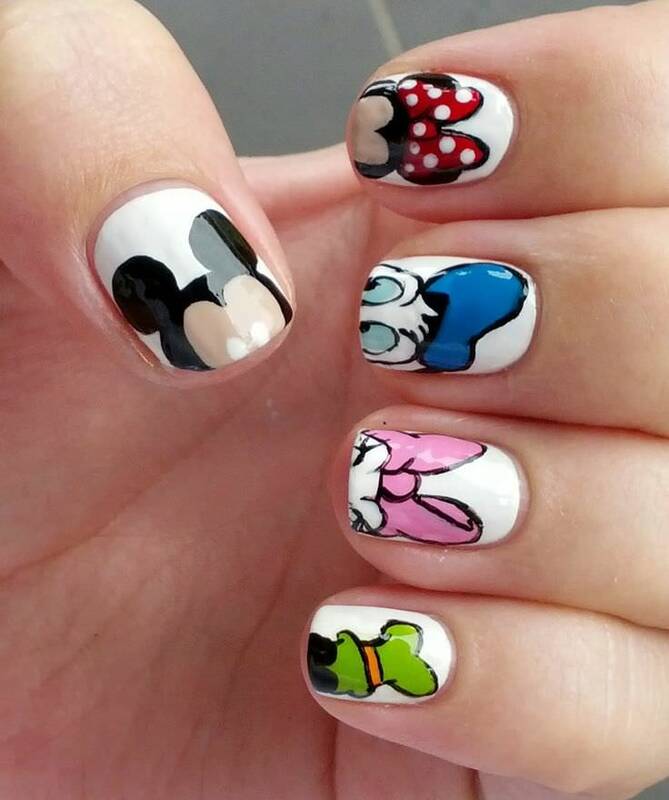 Do one character per nail or do all the same. 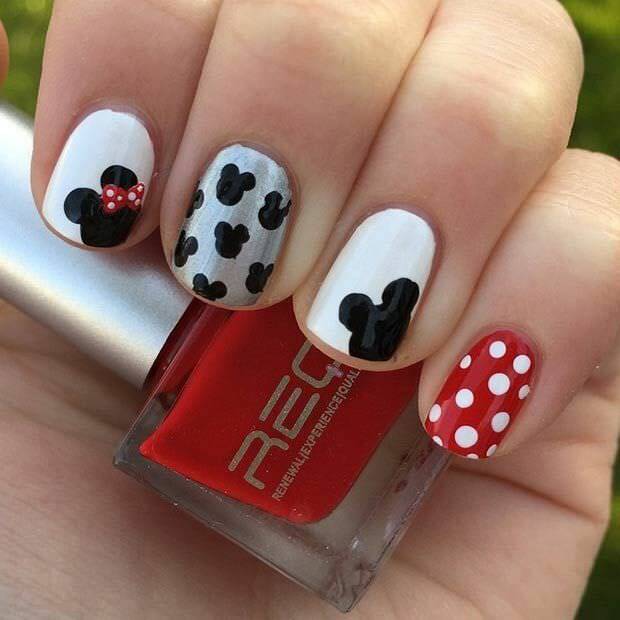 Use Mickey’s signature colors – black, white, and red; to create the iconic Disney logo. 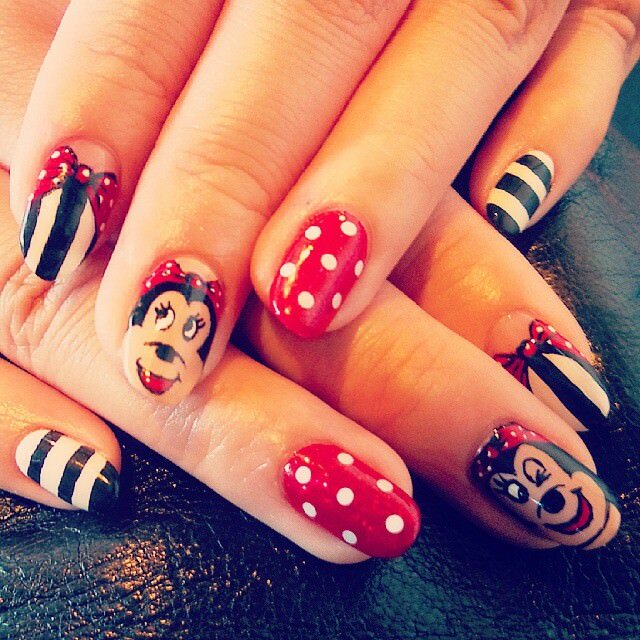 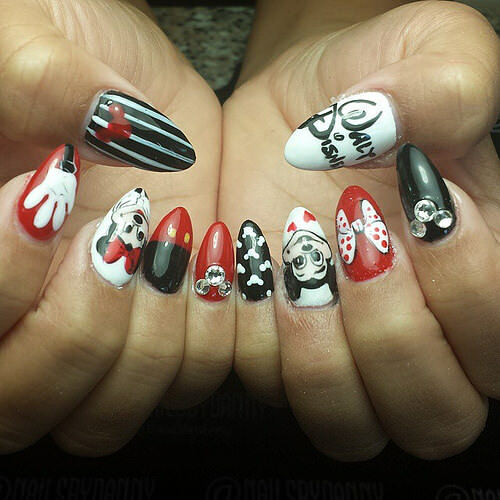 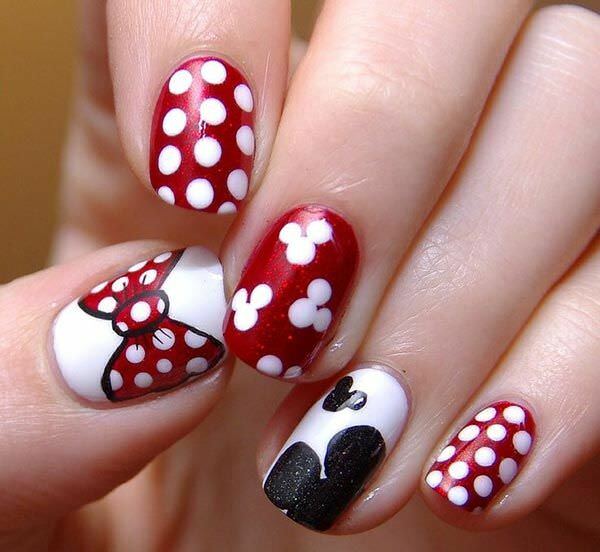 Make sure to add a special bow for Minnie or polka dots for the nails. 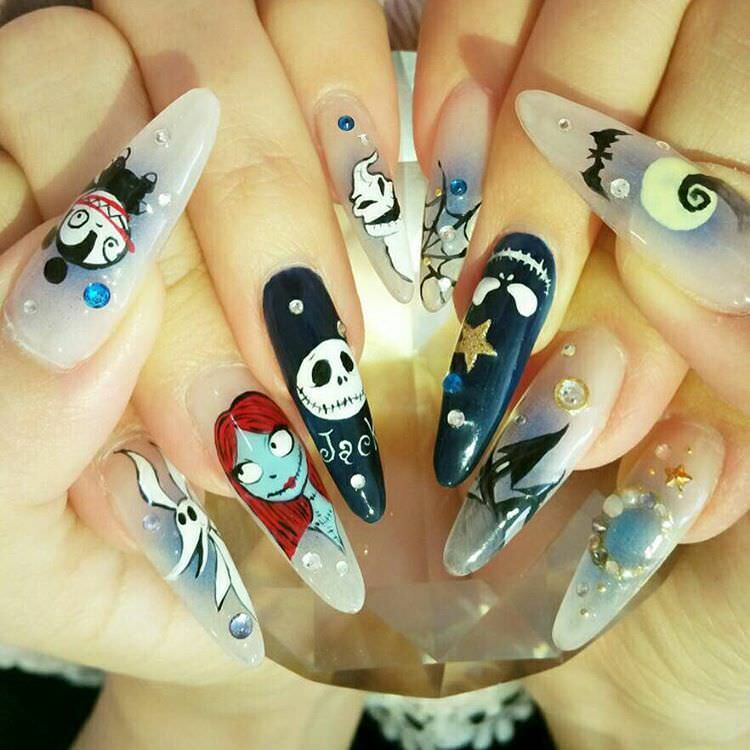 Disney’s Frozen has been the inspiration for many nail artists as you can find frozen nail art everywhere. 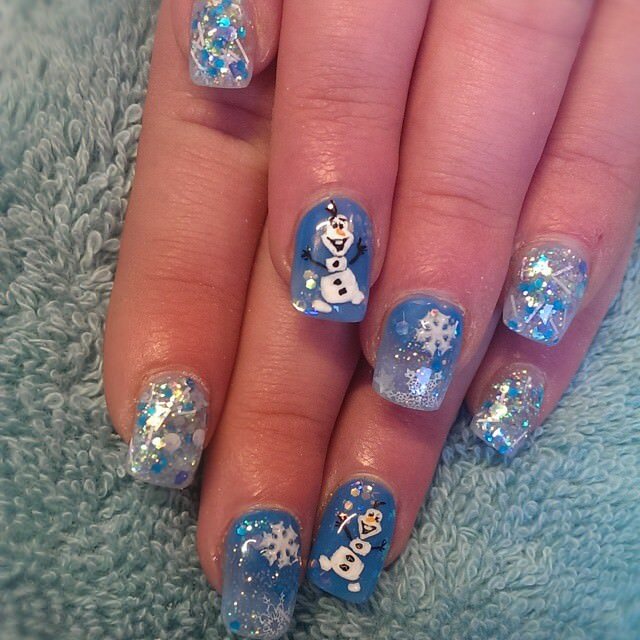 With the Ombre shades of blue to the silver glitter to represent snow, the inspiration for frozen is endless. 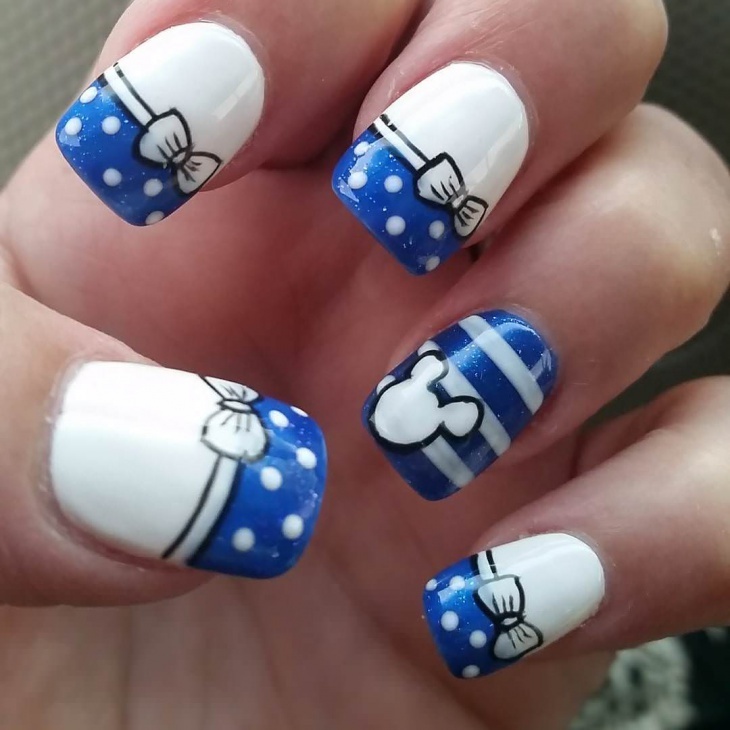 Designs often include sisters, Elsa and Anna, white snowflakes, snowy shades of light blue and cloudy white, and especially the loved character of Olaf. 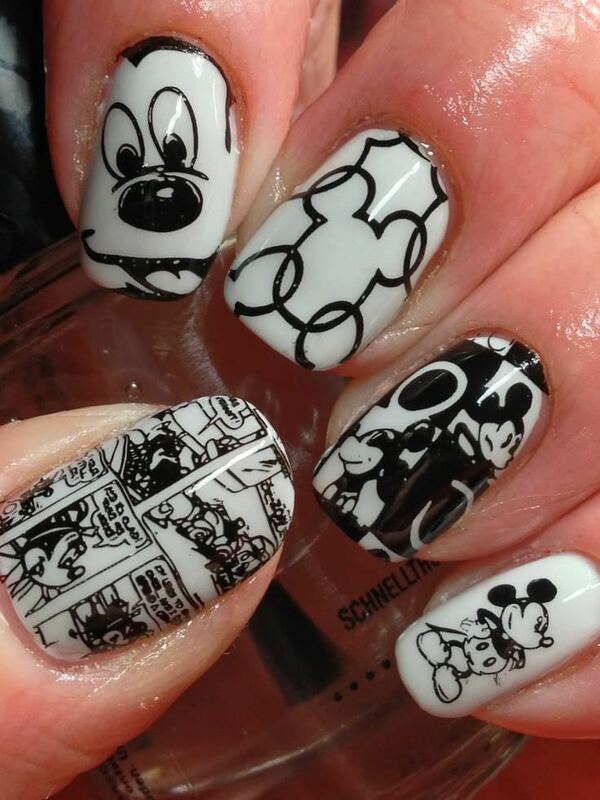 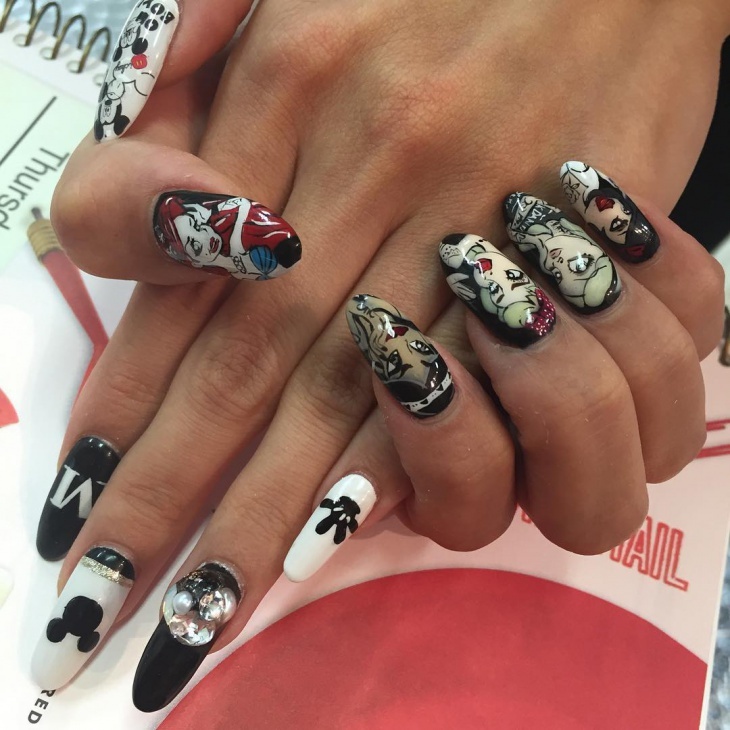 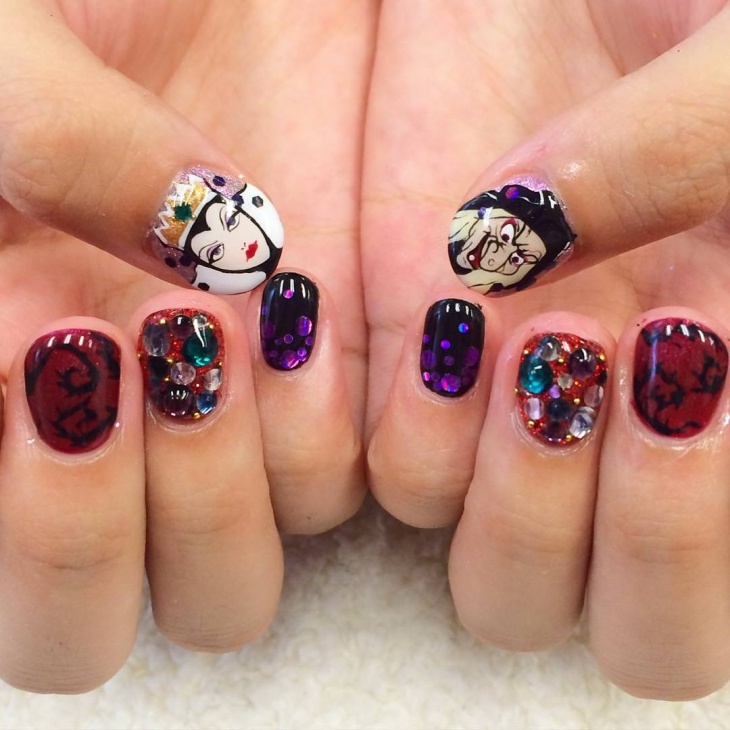 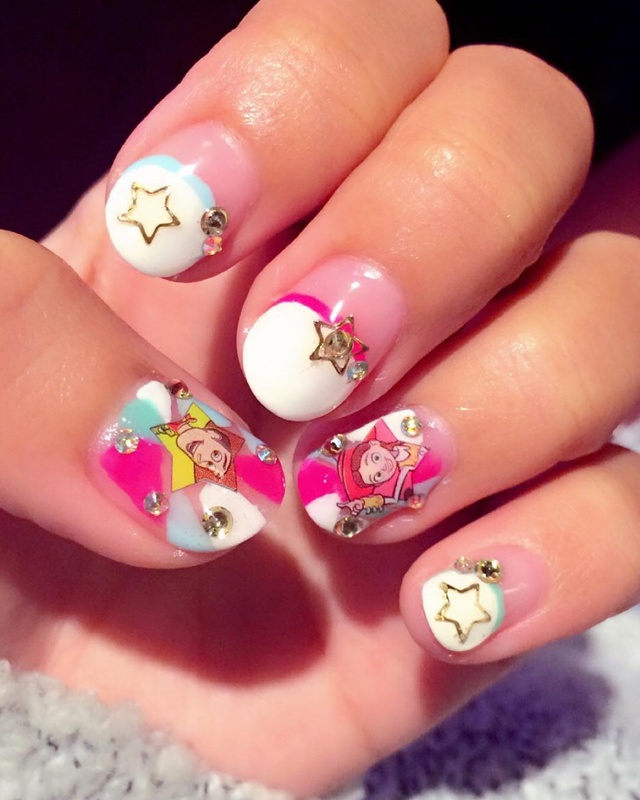 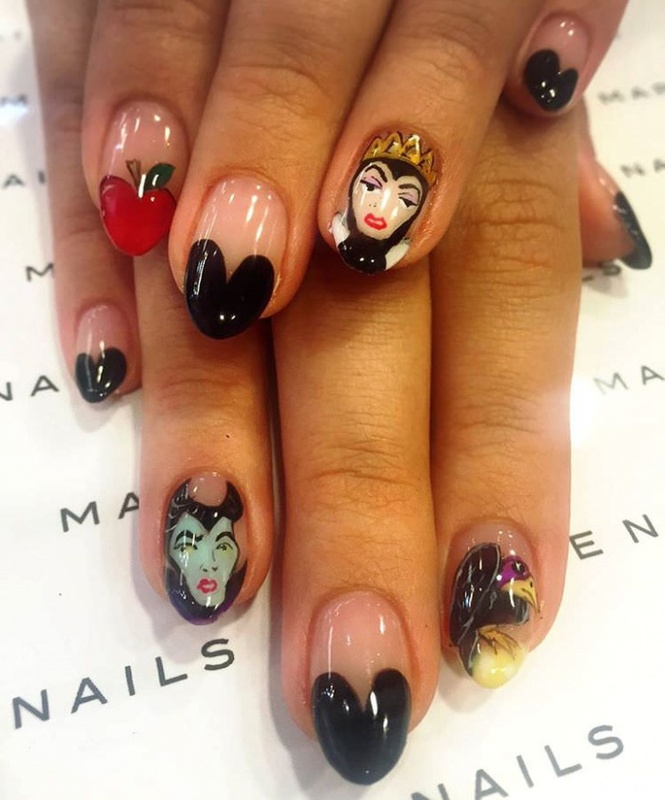 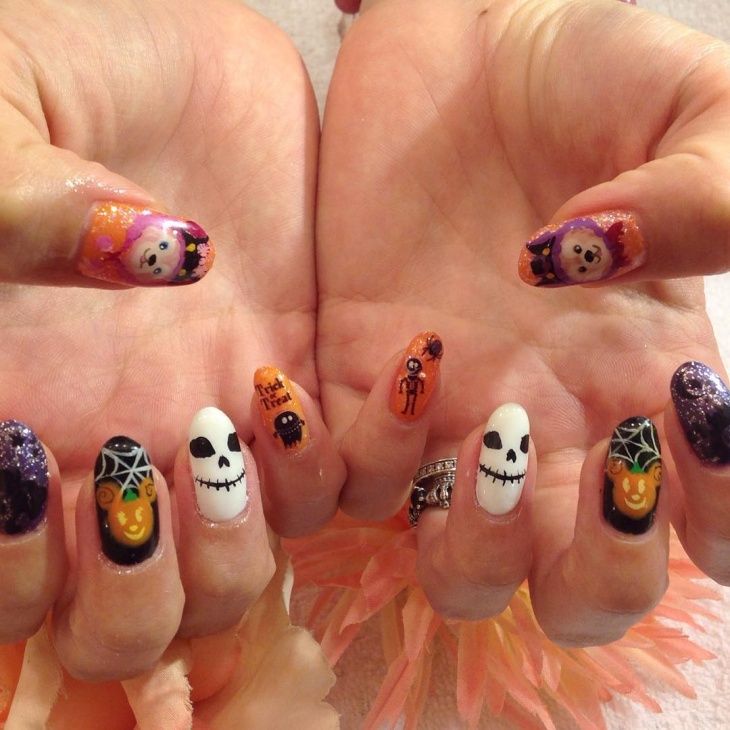 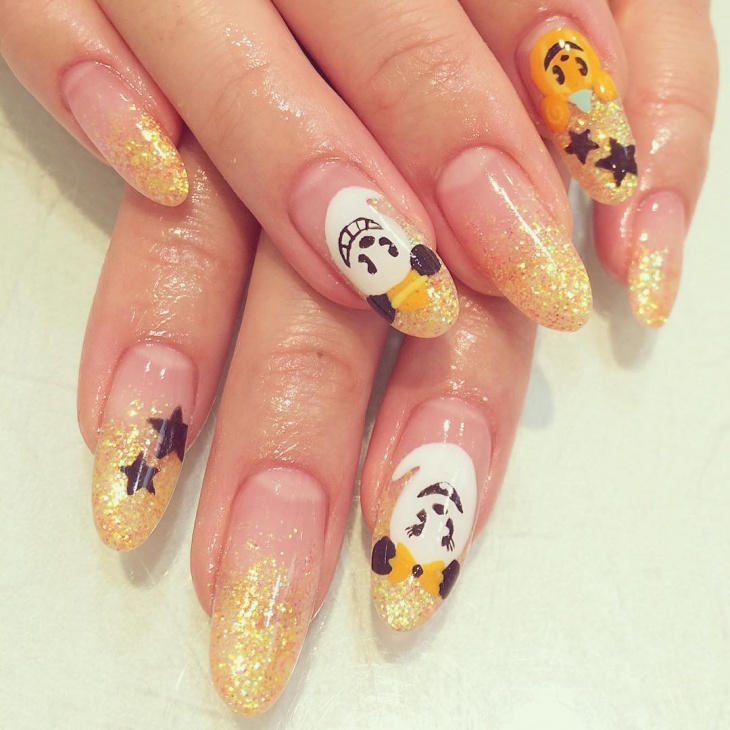 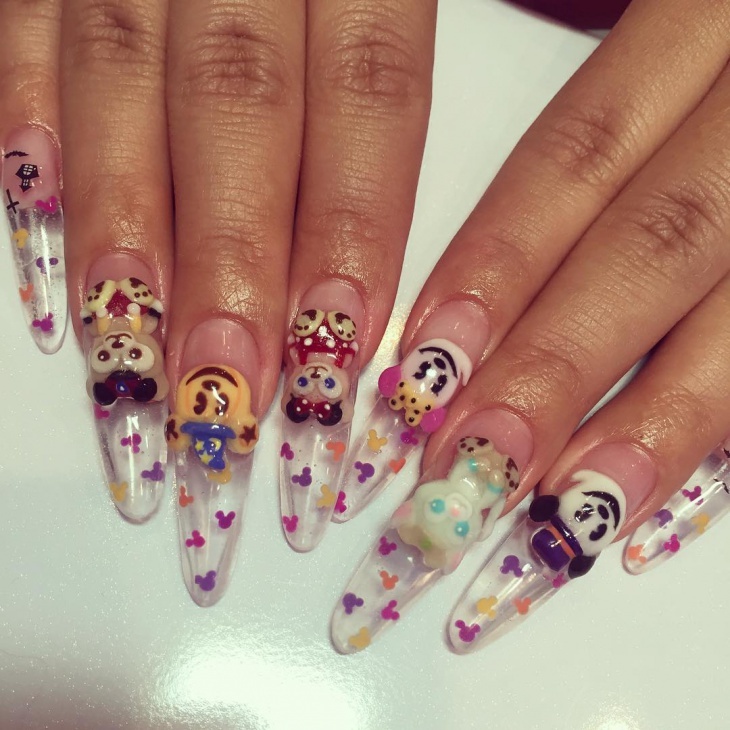 Disney princess are also a hot nail trend as the designs vary. 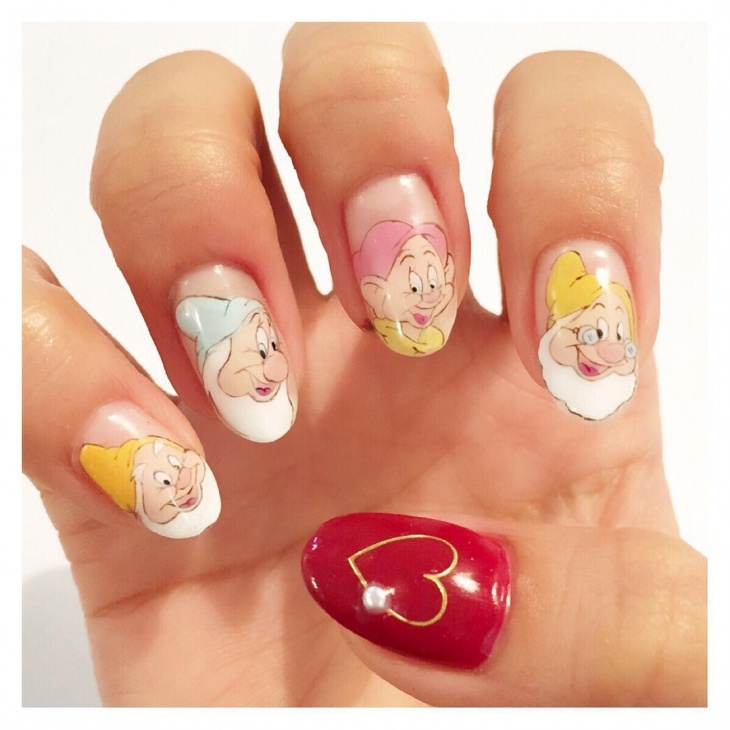 Create Belle inspired nails with gold shimmer nails with one rose. 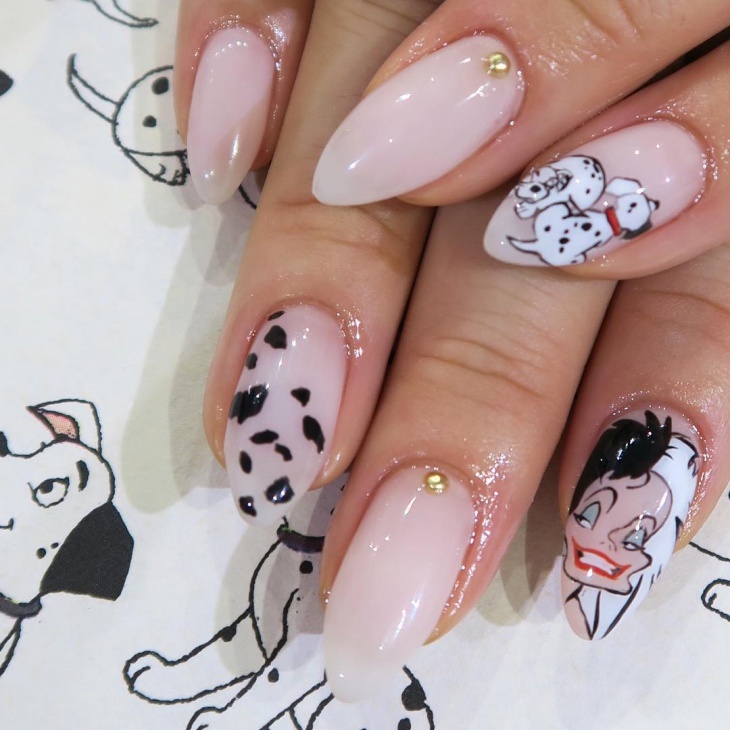 For the little mermaid inspired design, artists create Ariel’s fin inspired French tip to create the mermaid tail. 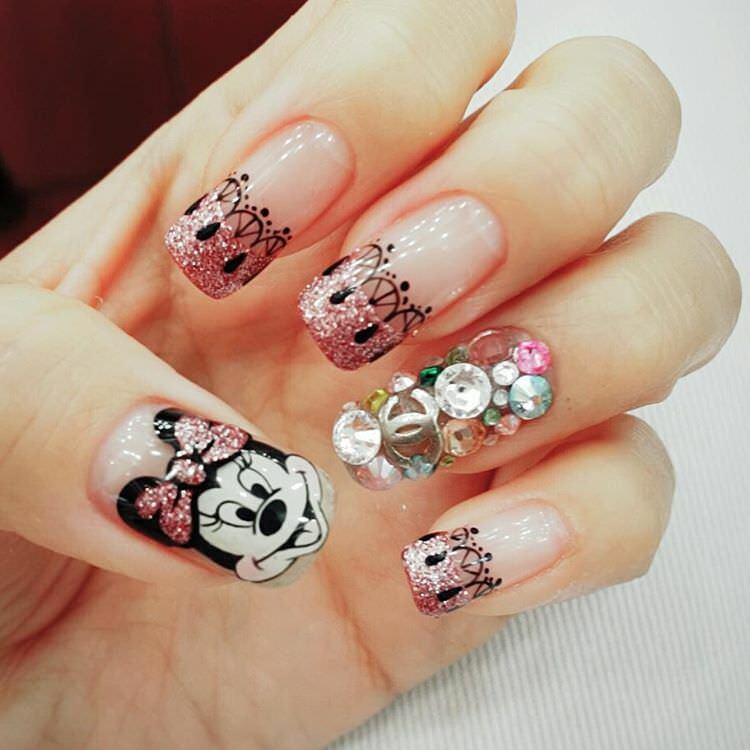 Cinderella inspired nails often include the time clock, which famously stuck at 12 midnight, with light blue shades and of course, the glass slipper. 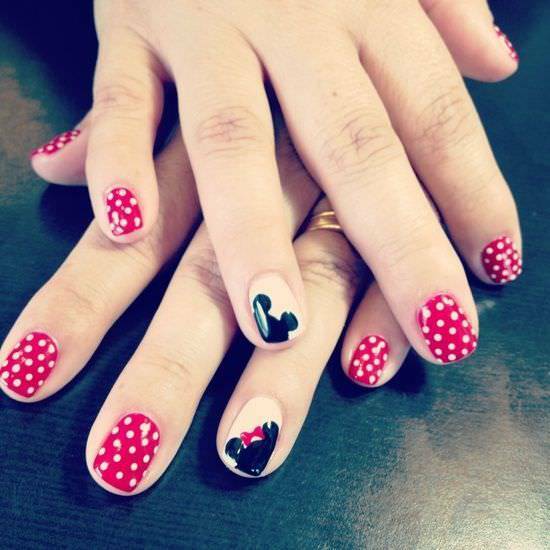 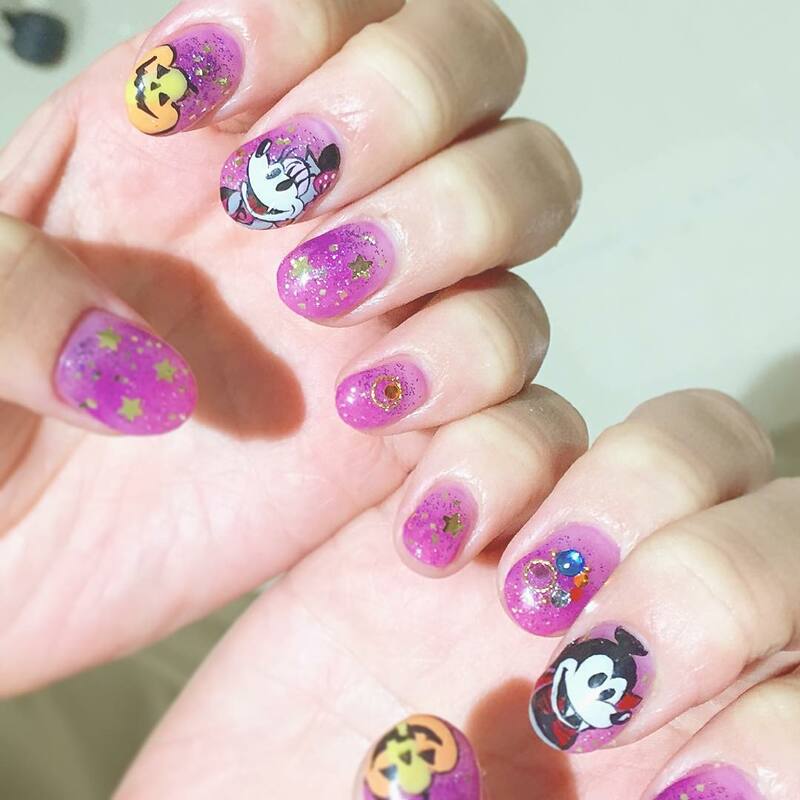 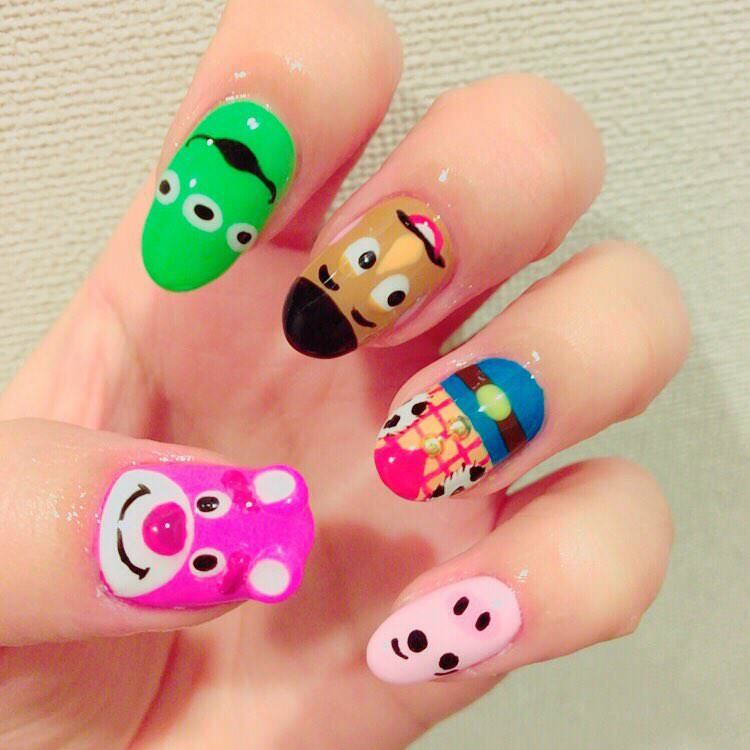 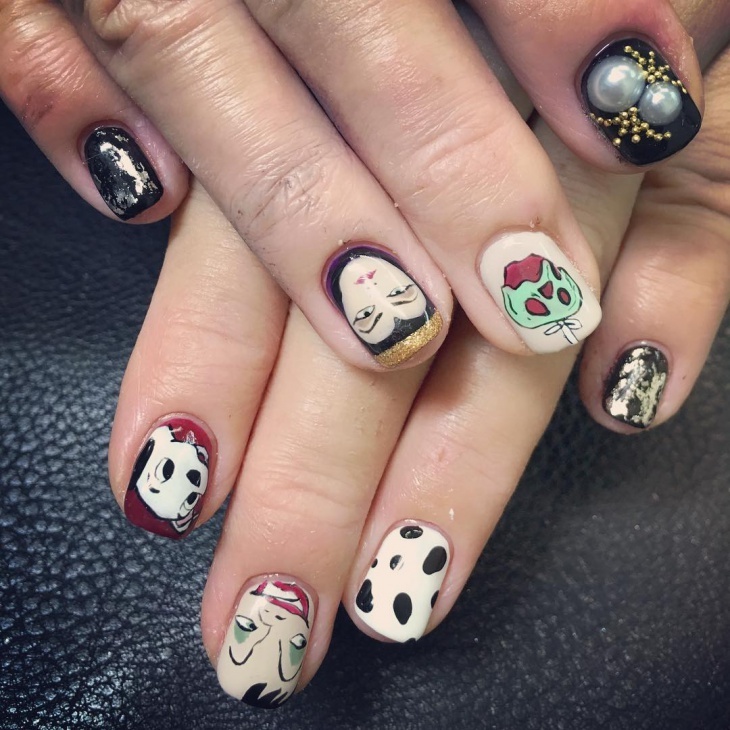 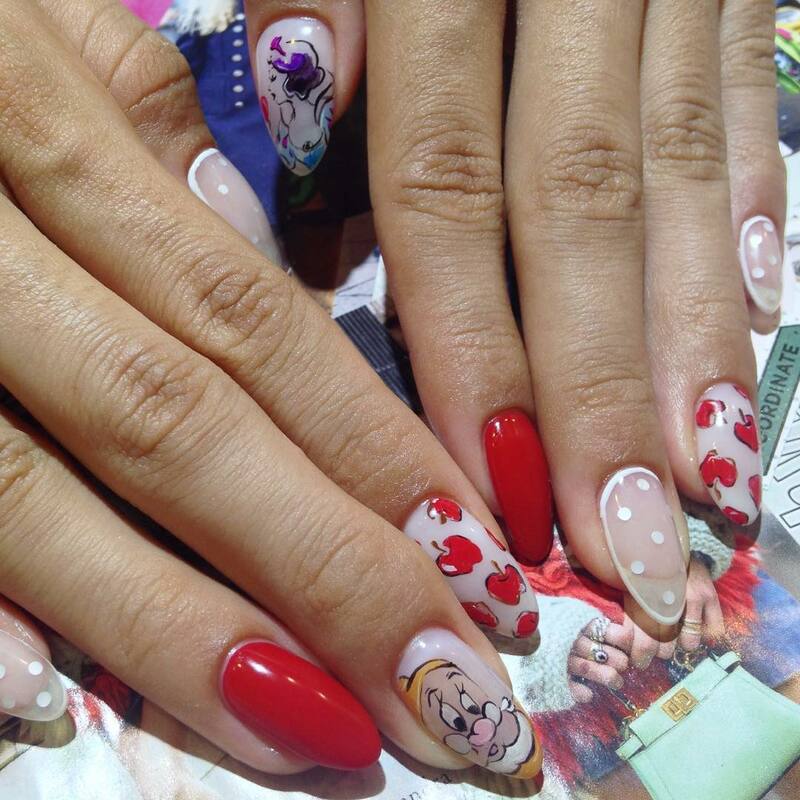 Another favorite Disney nail trend is focused on movies such as Finding Nemo and Big Hero 6. 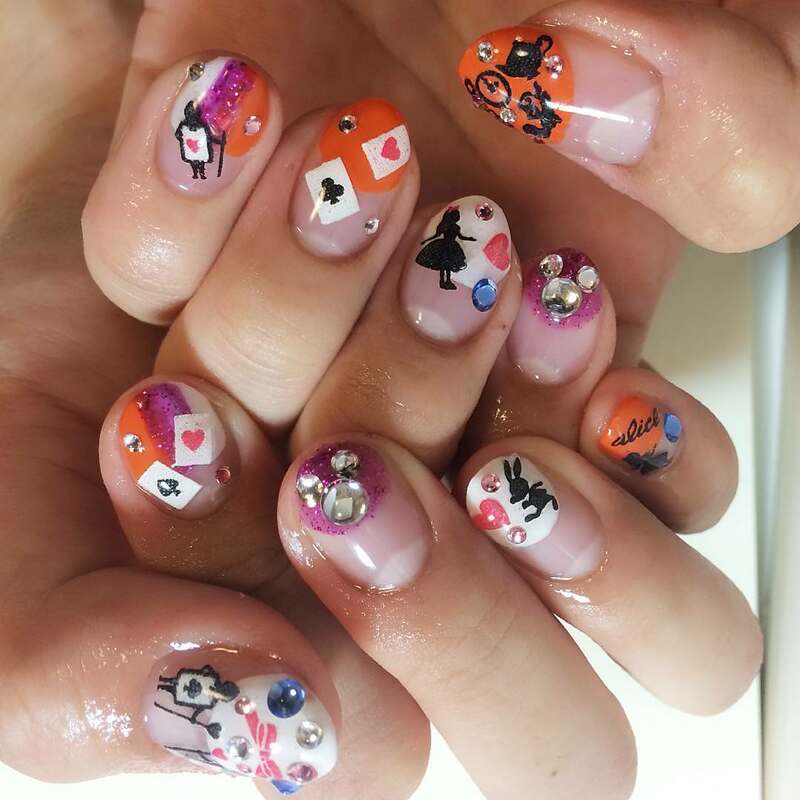 Finding Nemo designs mainly include the famous orange clownfish, Nemo, as well as the other cute characters in the movie. 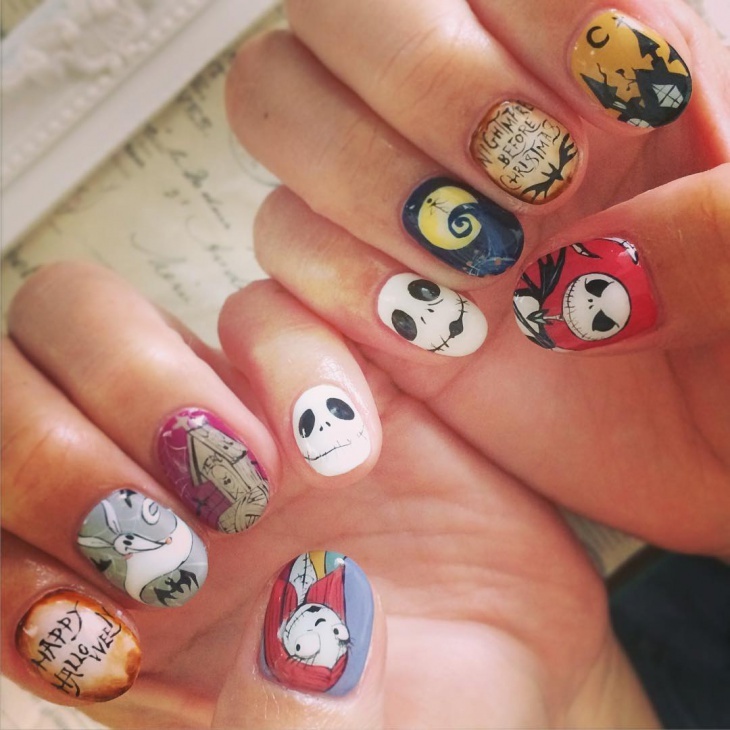 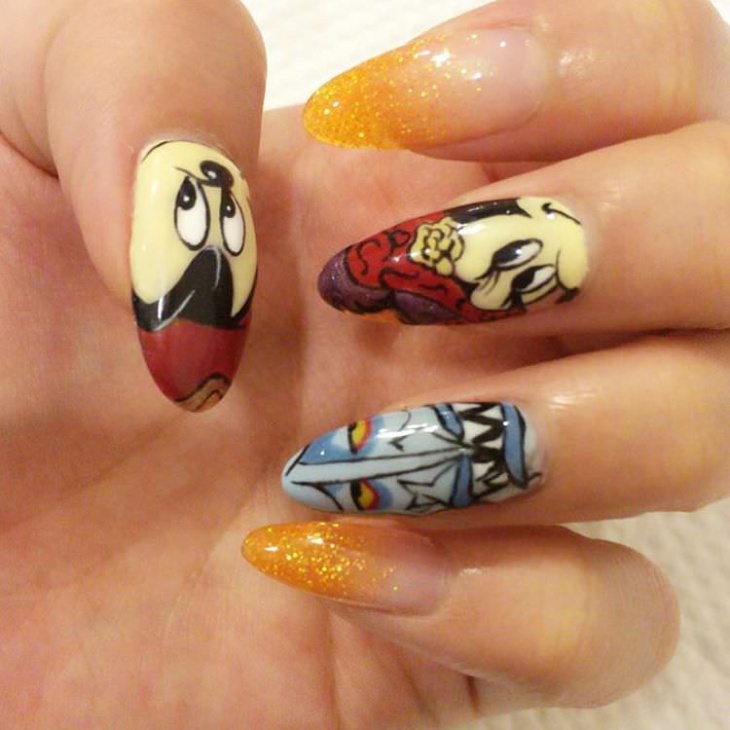 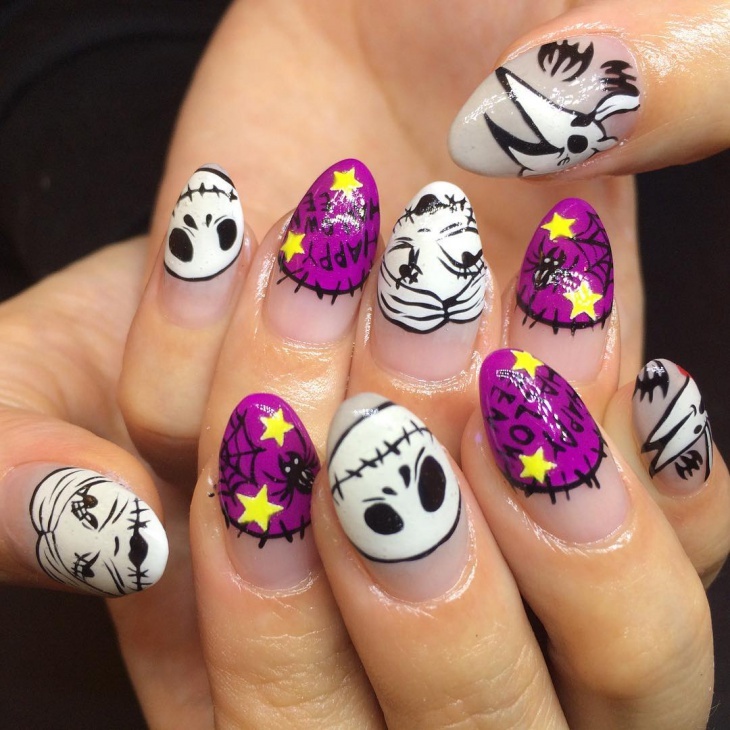 For Big Hero 6, Baymax nail designs are a favorite especially with how easy the white base and black face design is.